Cal State University Long Beach is built on sacred ground of the Tongva Tribe. 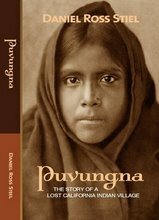 Their Native American ancestors 500 years ago occupied a village on the campus called Puvungna. In 1992, the Tongva and their supporters battled plans to build the shopping center, and later won. In June of 1950, local residents authorized the City Council to buy 320 acres of Rancho Los Alamitos in East Long Beach at Seventh Street and Bellflower Boulevard which was first named Long Beach State College.